The selling point here is the idea of a total body workout that is achievable in just 10 minutes. This suggests power, versatility, intensity and convenience in one brightly-coloured little device. Does this vibration machine meet all of these expectations, or could it do more? What benefits have buyers highlighted when reviewing this Confidence VibeSlim online? Starting with that intensity of the workout, there is a surprising amount on offer here with this small device. 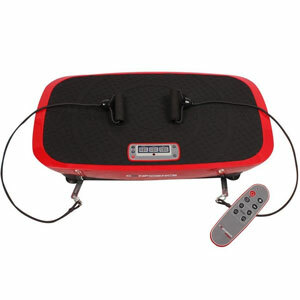 The Confidence vibration plate machine offers 50 different speeds so users can find just the right level that is comfortable and effective for their needs. Some will prefer to start slow to get used to the movement and others will progress to the more intense options. There are also 3 workout programs and an LCD display to help with settings and information. There is clearly room to develop for users of different abilities and many say that they have a lot of fun with it. This sense of a user-friendly product is essential here. This is the sort of vibration machine that users can bring out for that 10 minute period and store away for the rest of the day. It is a space saving model – at just 80 x 45 x 15cm and 18.5kg – with detachable power cords and a remote control for ease of use. User can find a spot, plug it in, set the desired speed and enjoy their 10 minute session. There is also the added bonus that it is fairly quiet. Are there any clear issues with this Confidence VibeSlim Wobble Machine? There are two themes in the more negative reviews for this system. The first is the idea that it takes a little longer than some would have liked to see results. Some reviewers are still waiting on more dramatic toning and weight loss to make a full judgement. This will vary depending on the intensity of the programmes. Still, there are many that have noticed improvements on the higher settings. Then there is the fact that the product doesn’t come with an instruction booklet for the exercises. This seems like quite an omission for what is a beginners product, especially when those power cords are part of the package. Summary: what does this all mean for the final verdict on this Confidence Vibration Plate Machine? The issue with the exercise manual is pretty significant. It is clear from the feedback for the machine that this is best used by those with minimal experience of exercise and toning. This is clear from the design, the wide range of speed settings and the ease of use. Many are happy to plug it in, enjoy their small daily sessions and gradually see results. However, greater instruction for the power cords could increase the potential and shorten those waiting times. If the manufacturers were to fix this issue, this Confidence vibration plate could be a 5 star product. 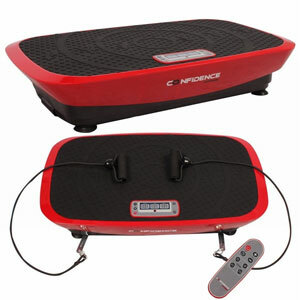 Find more reviews about the Confidence VibeSlim Vibration Fitness Trainer Plate on Amazon here.